Here it is. The post that will break my no-blogging rut. I know it's been a while, but the beginning of the semester--and of senior year--has spread me so thin I sometimes have trouble waking up in the mornings (ok, maybe I'm exaggerating a little). Anyways, I haven't had time to plan and execute meals until tonight. Before I get to the food part, let me recap the month. September 4th marked the day of my last year of college--how terribly sad. That first week was a breeze, but the next one not so much. I was preparing to visit my sister in NYC the weekend of September 15-16--the real Mexican Independence Day, for all of you who think it's on Cinco de Mayo--so I had to finish all my work before the weekend. NYC was amazing; it was a mini vacation. My sister and I met up with a high school friend, walked around the city on Saturday, strode on Highline park and drank refreshing gin cucumber cocktails to start off the night. Later, I met up with some middle school friends and ended up in a rooftop party ready to celebrate Mexico. Sunday was a day of much needed rest and reading. Then there was last week. It was stressful, but exciting. For one, I got an internship at a newspaper for Spanish-speaking Bostonians. And then there is the highlight of the month: my half-marathon training. Two months ago, when I started the my training, I couldn't really see myself running 13.1 miles. That's more than I usually ran over the course of a week. But now, one week away from the grand finale (I am running it next Sunday in Hampton Beach) I'm as proud and confident as I'll ever be. I'm hoping to run it in an ok time, but just finishing it would be enough to keep me happy for the rest of the semester. Anyways, let's get to the food. Yum! 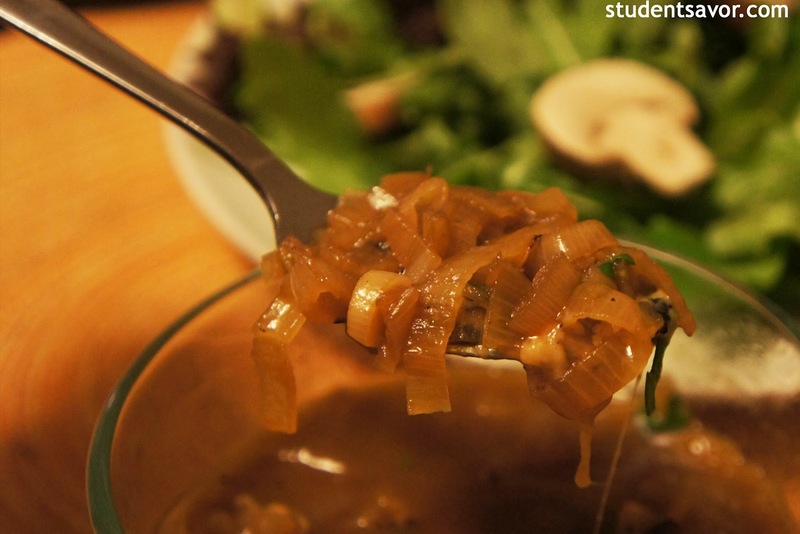 If you like french onion soup, you'll love this shallot soup. 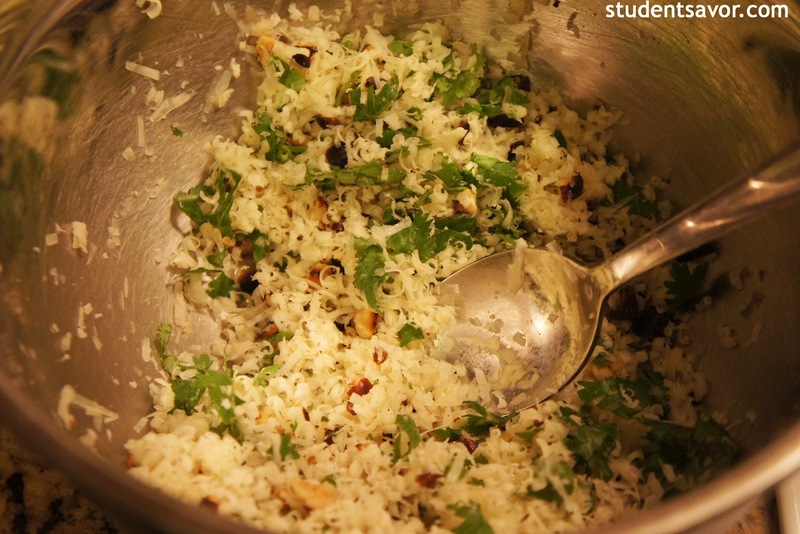 It boasts a mixture of sweet and savory flavors. 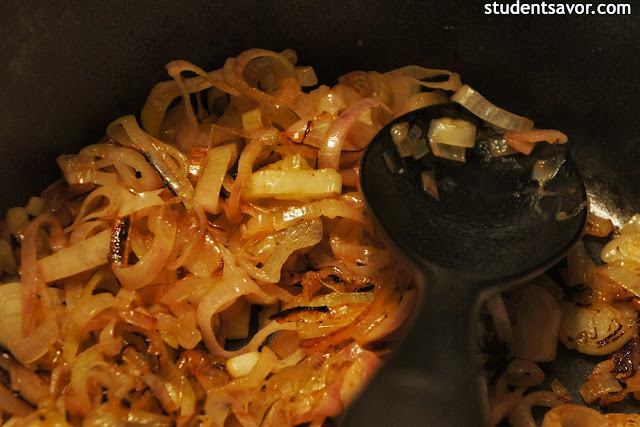 The strong taste of the shallots is complemented by the crunch of the roasted nuts. Make sure each spoonful includes melted cheese, because it makes it even better. Enjoy! Active time: 30 minutes. Total time: 70 minutes. 3/4 cup finely grated Gruyere cheese, about 3 oz. In a large pot, melt butter over medium heat. Add shallots and a pinch of salt, and sauté, stirring occasionally, until tender and caramelized, about 25 minutes. Add wine and cook until it evaporates, about 5 minutes. Add broths and bring soup to a boil; reduce heat and simmer until soup is reduced by one third, about 20 minutes. Season with salt and pepper. In the meantime, heat oil in a small pan over medium heat. 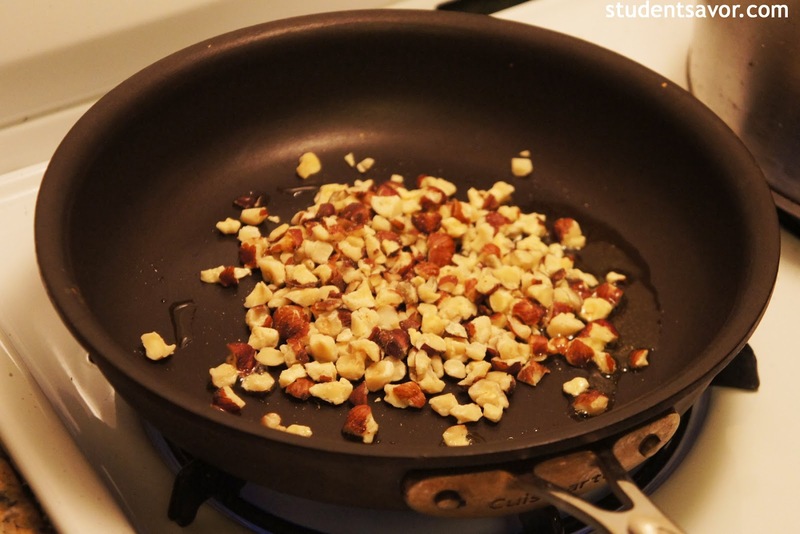 Add hazelnuts and sauté, stirring constantly, until crisp, about 3-5 minutes. Transfer to a bowl and let cool. Add cheese and cilantro and toss. 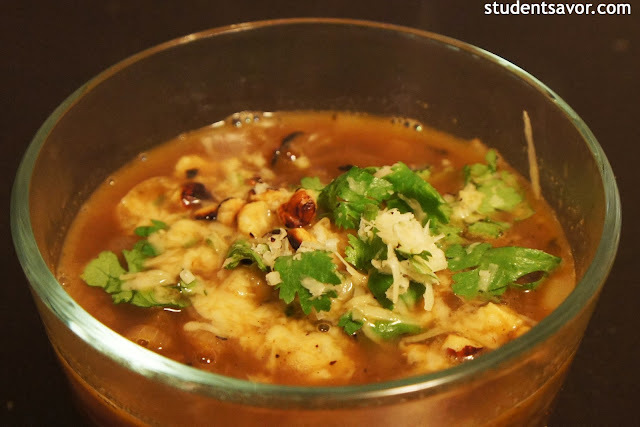 Serve soup topped with hazelnut-cheese mixture. Thanks for your grateful informations, this blogs will be really help for students Internship.